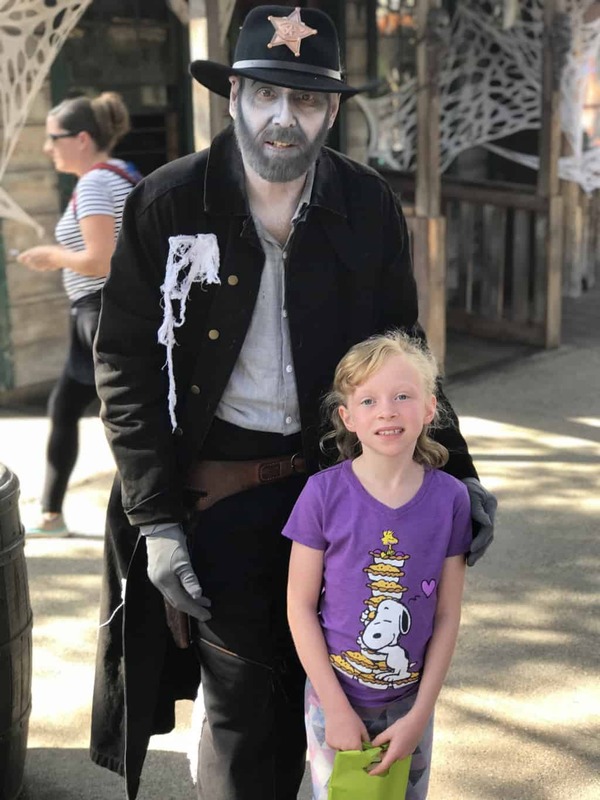 Last Saturday, my family had a not-so-spooky day at Knott’s Berry Farm in Buena Park, California! 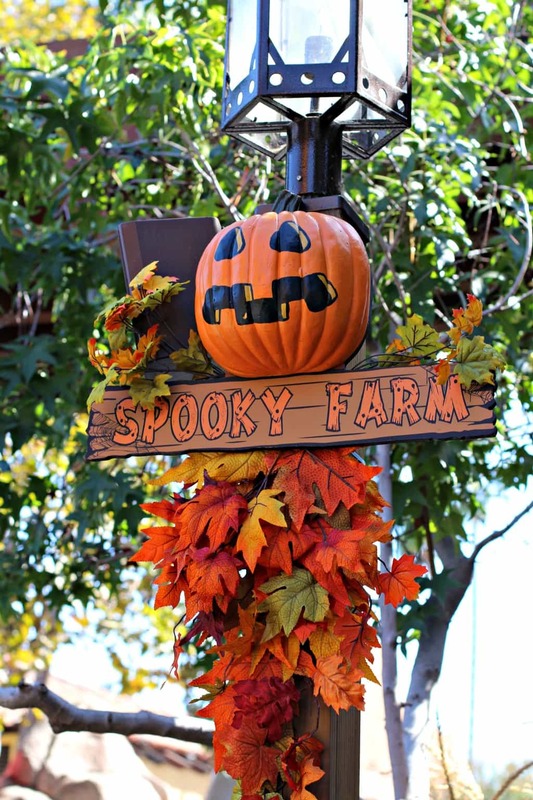 We attended their annual Halloween family-friendly celebration called Knott’s Spooky Farm. 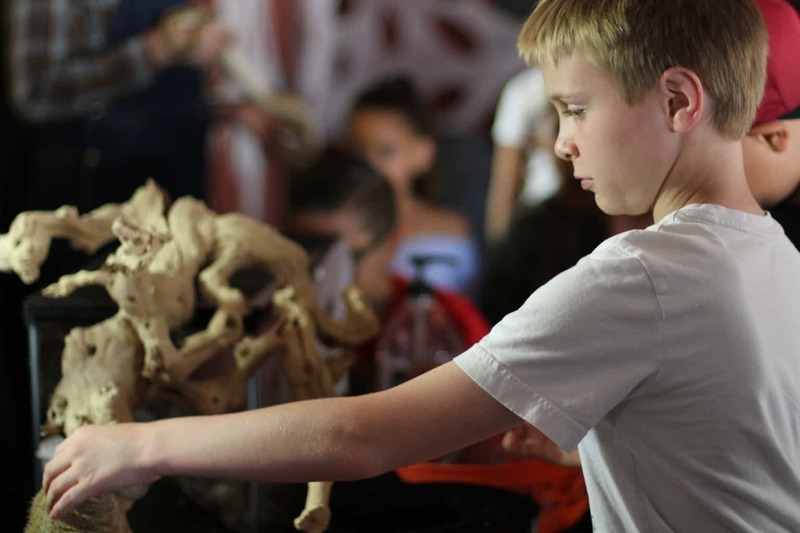 This daytime event is a non-scary celebration of cheer rather than fear with shows and activities geared for kids ages 3-11. 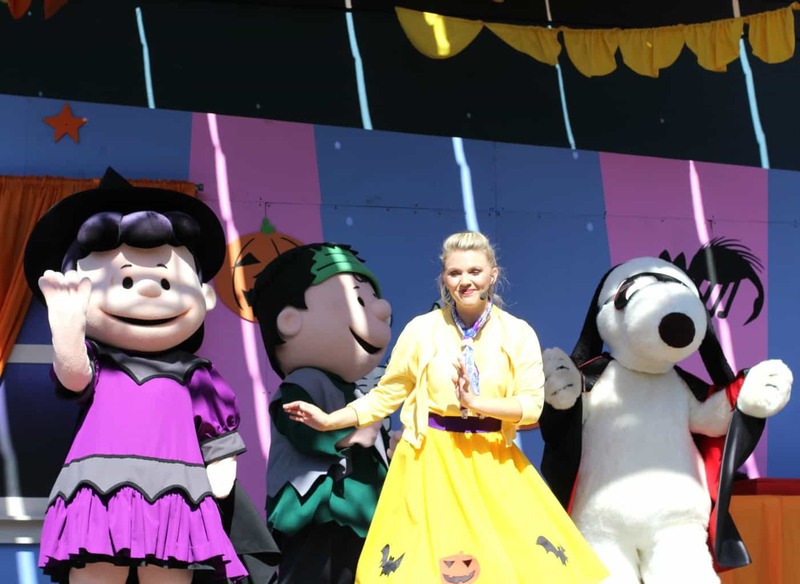 The fall daytime Seasons of Fun event is included with regular park admission or your 2018 Knott’s Berry Farm Season Pass. 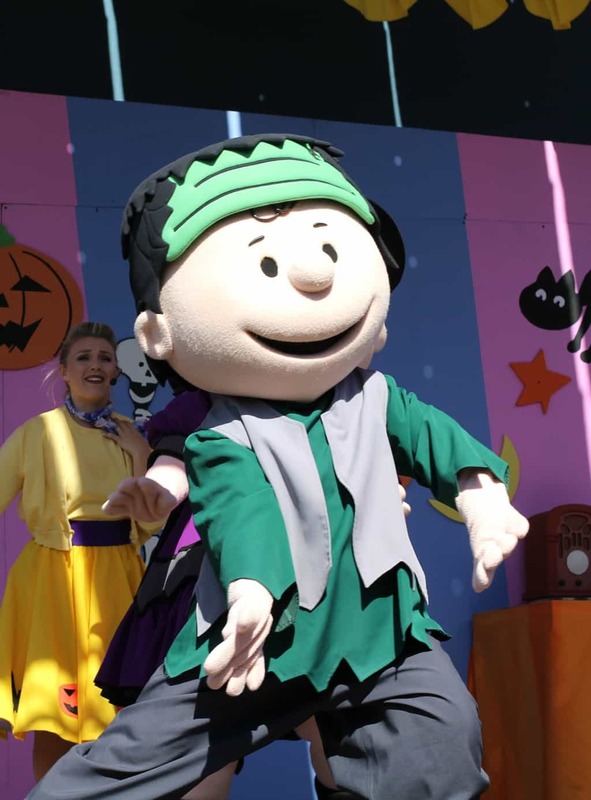 Families are invited to participate and join in the Halloween fun at several key areas within the park – Ghost Town, Calico Park, Fiesta Village and Camp Snoopy. 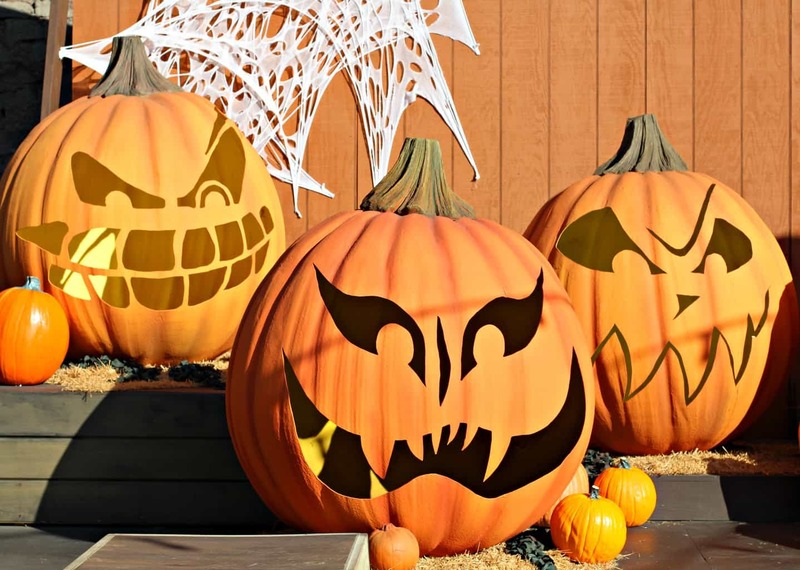 This special limited-time event serves up live entertainment, trick-or-treating, a costume contest and exclusive festivities tailored just for little ones. First, my children and their best friends went trick or treating through Ghost Town. 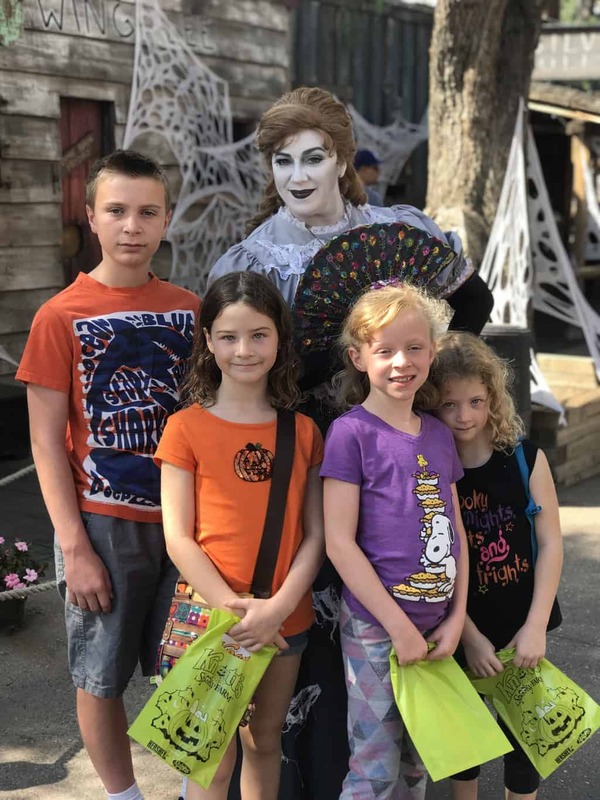 Since Knott’s has expanded the trick-or-treating path this year, my little ghouls were able to interact with even more spooky, but friendly shopkeepers, than in years past. 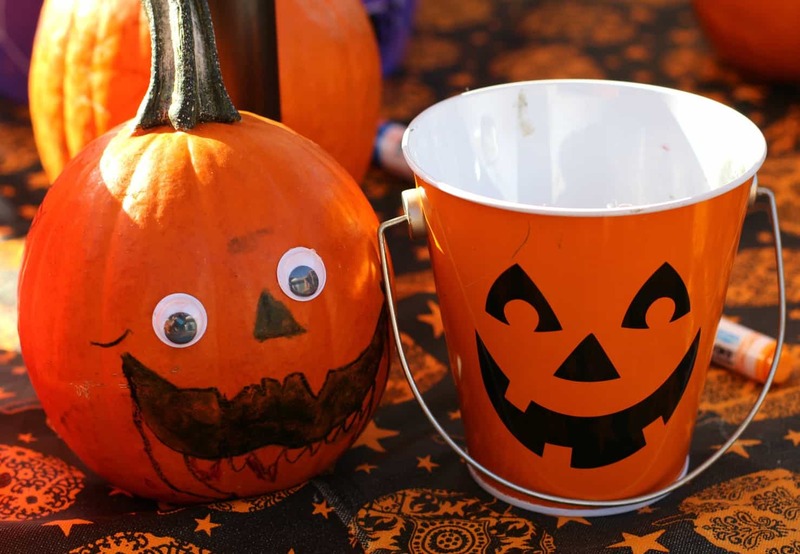 Children are encouraged to wear their costumes while trick-or-treating, while parents can pick up a treat bag for their kids at the main entrance. 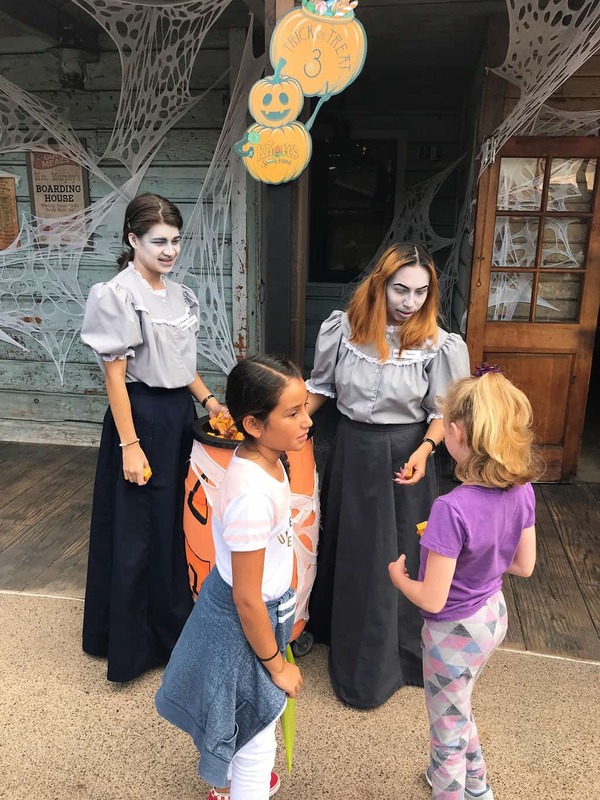 While walking around Calico, the friendly ghosts handed out treats to the children, told funny ghost stories from the school house steps and took spooky pictures with each visitor. If your lucky enough, the ghosts might actually show up in your pictures too! 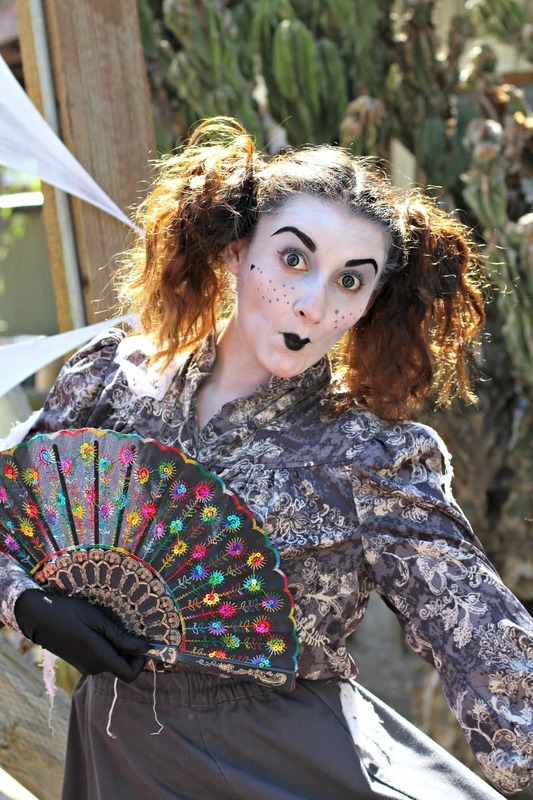 Back again this year at Knott’s Spooky Farm is Creepy Critters of Calico located right in the middle of Ghost Town. 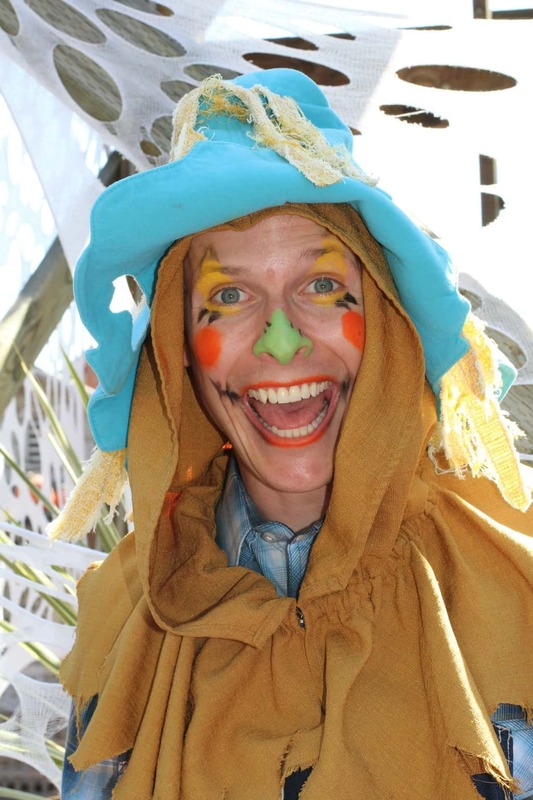 Vistors are invited to meet Stanley Scarecrow and get up close and personal with a wide variety of creepy critters in the Livery Stable, including a real rats! Eek! 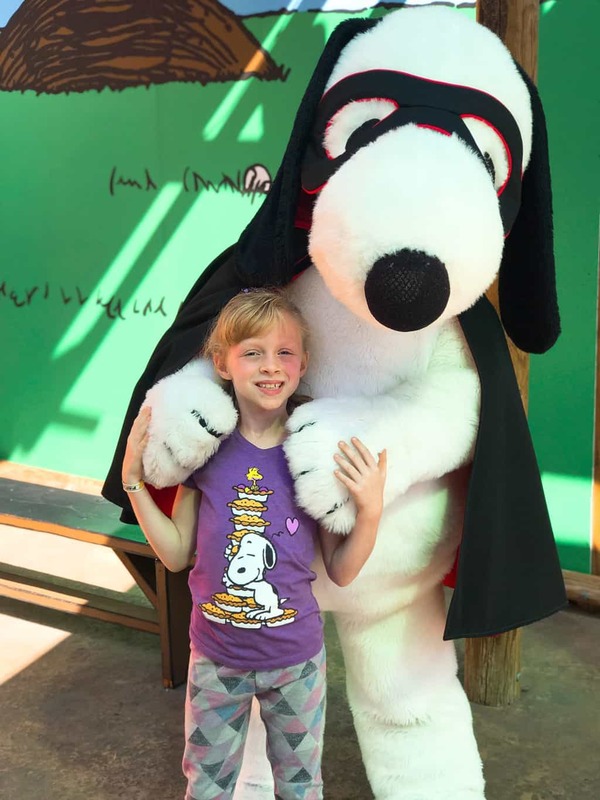 After trick-or-treating around Ghost Town, the girls and I spent some time in Camp Snoopy. 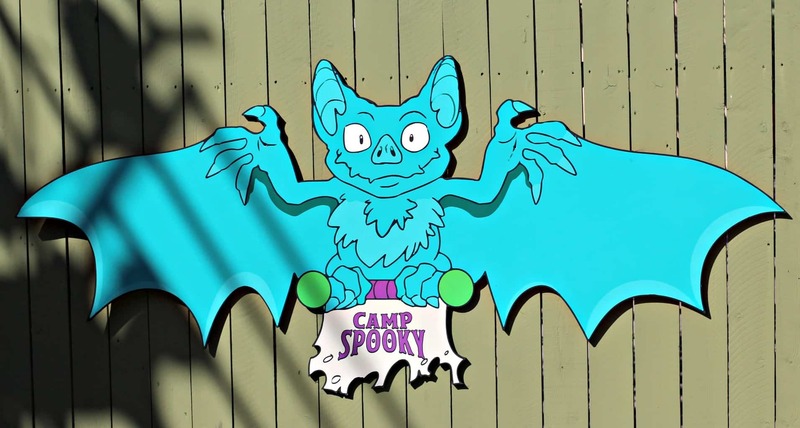 We went on several rides including The Grand Sierra Railroad, which takes riders on an adventure to find Camp Spooky and the Peanuts Gang. We also saw the festive 2D & 3D Halloween Themed characters and effects. 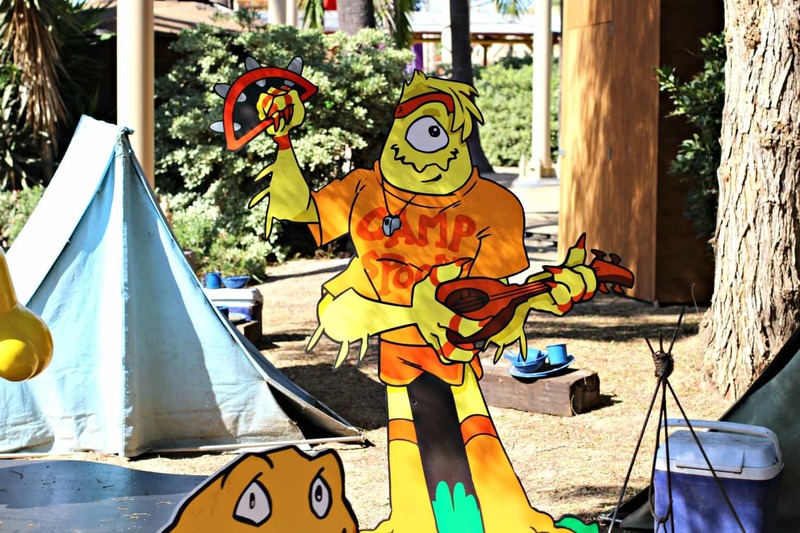 Then we sat down and watched the “The Monsters are Coming, Charlie Brown” show at the Camp Spooky Theatre. 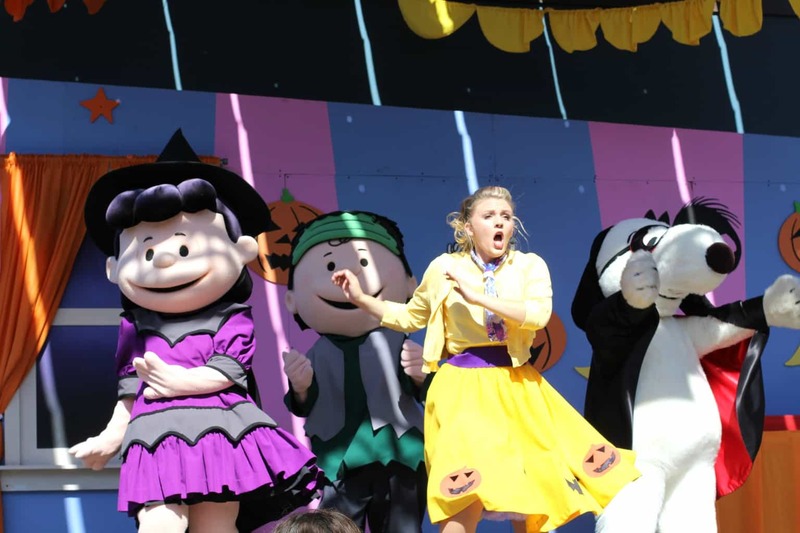 At other points during the day, children are welcome to show off their best Halloween costumes and join members of the Peanuts Gang in a Peanuts Dance Party. How fun! While Field Trip Girl and I were at Camp Snoopy, Field Trip Boy and his dad went on the seasonal Timber Mountain Log Ride. 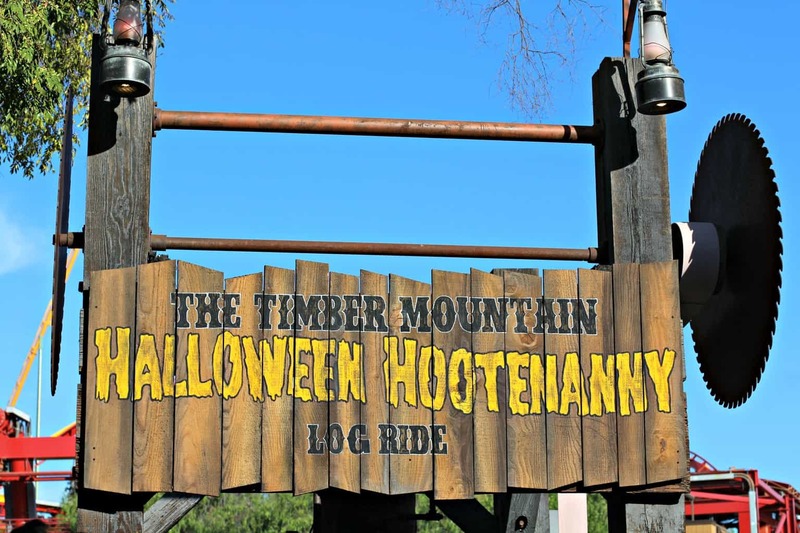 Every year the citizens of the Timber Mountain invite the mysterious creatives that live out in the woods and caverns of the area to join them as they celebrate the season at the Halloween Hootenanny. The ride’s interior features fun surprises as guests venture past the Calico Coffin Creeper band, the Green Witch and splash down Skull Mountain through a labyrith of jack-o-lanterns. 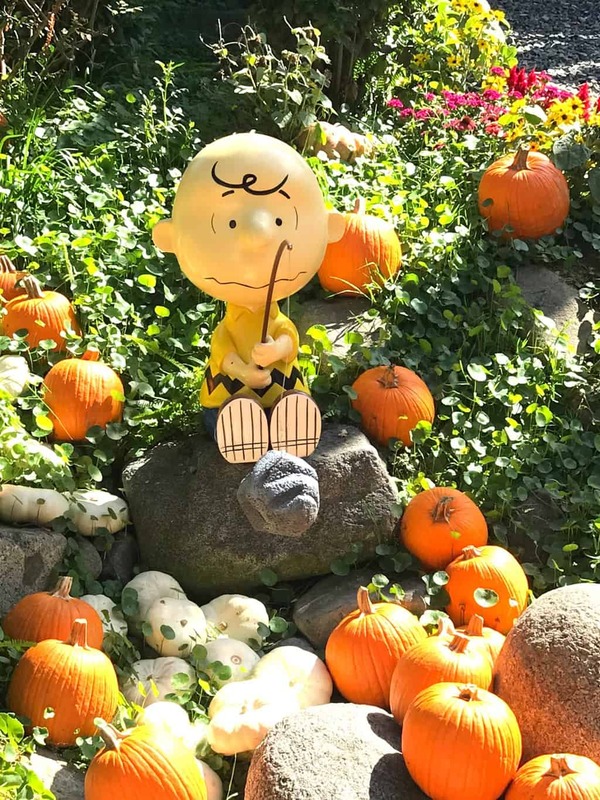 Once “The Monsters are Coming, Charlie Brown” show was over, we met back up with Field Trip Boy and his father, and visited the Pumpkin Patch in Calico Park. Here, my kids were able to do complimentary arts and crafts with their friends and painted their own pumpkins for a nominal fee. 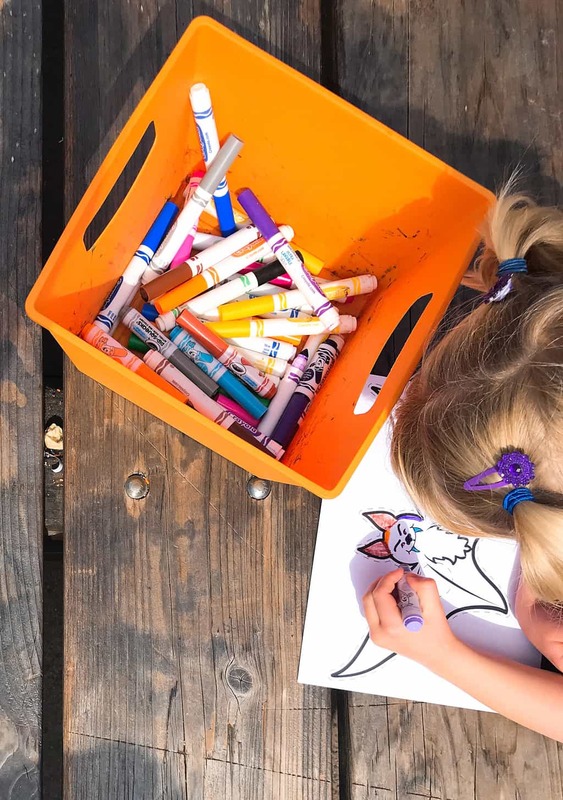 There are also several photo backgrounds throughout the Calico Park Pumpkin Patch where parents can stop and take classic Halloween pictures of their kids. They make great holiday photos too. 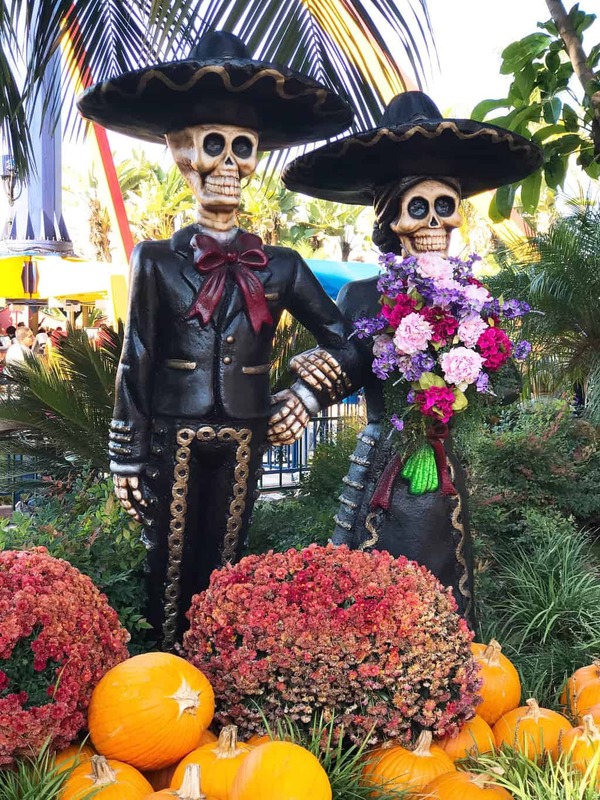 Also, when visiting Knott’s Spooky Farm, don’t forget to head over to Fiesta Village for some vibrant fun with a Dia de los Muertos non-scary, friendly, educational celebration of the season. Field Trip Girl asked me several questions about the celebration and what it specifically meant. It was a good history and cultural lesson for both of us. 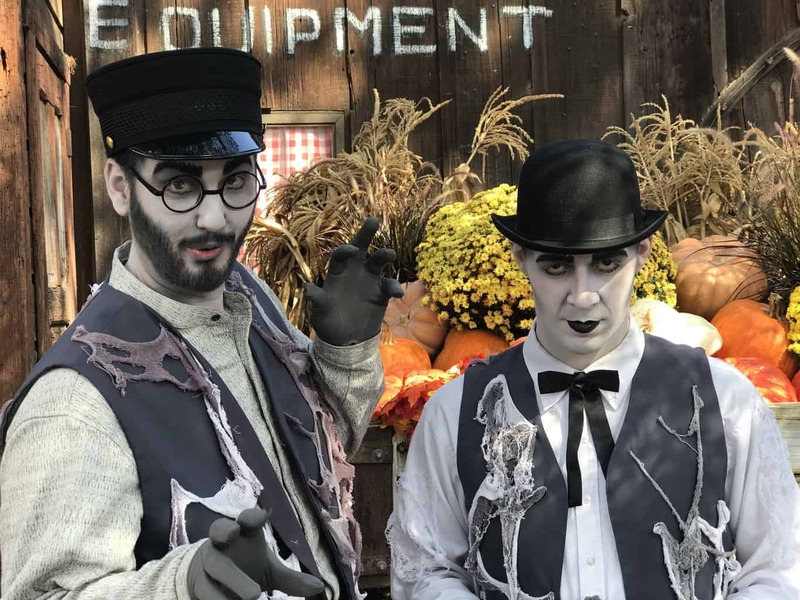 Knott’s Spooky Farm runs every weekend from September 29 – October 28, plus on October 31 from 10 am – 5:30 pm. 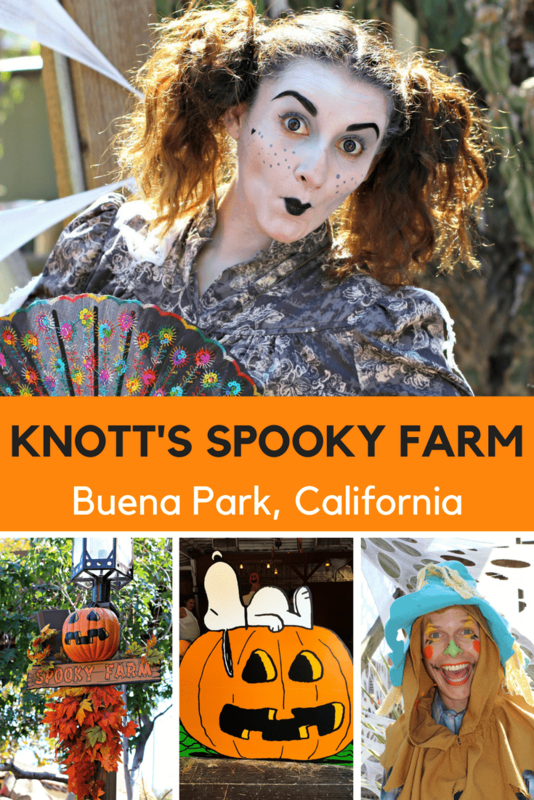 Admission to Knott’s Spooky Farm is included with the price of a Knott’s Berry Farm ticket and Season Pass. Oh and don’t forget! 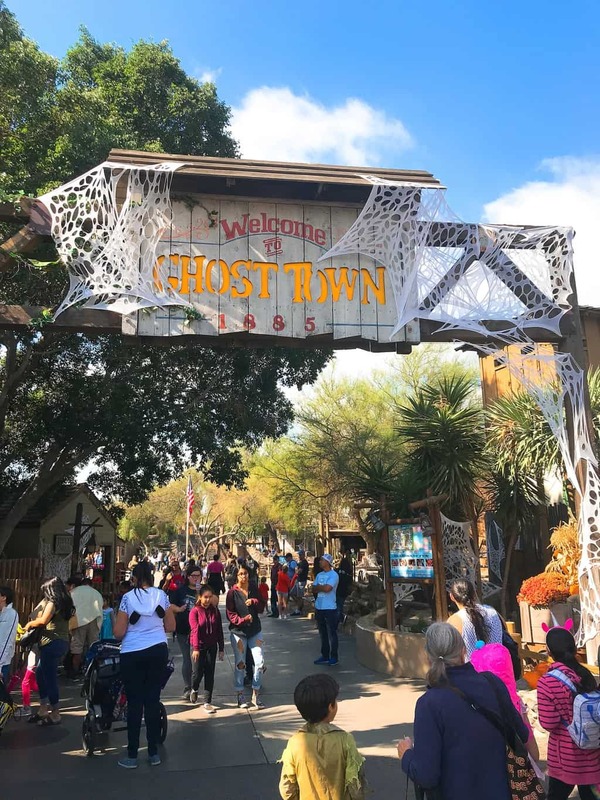 A 2019 Knott’s Berry Farm Season Pass is the best way to experience Knott’s Spooky Farm. With a 2019 Season Pass you will get to enjoy all of the Seasons of Fun next year and will also receive one free admission to Knott’s Berry Farm during 2018. Get your Knott’s Berry Farm Season Pass right now at the Best Offer of the Year! A Regular Season Pass only cost $95, while a Gold Season Pass cost $115. This special offer ends on October 28, 2018.